Today Nike lifted the curtains for a peek at what we’ll be pining over on HR Derby Monday and All Star Tuesday, nights that have become to baseball what the Victoria’s Secret Fashion Show is for lingerie. Nike is calling this the Lunar Vapor Spectrum Collection, and for the best news you’ve heard all day: ALL OF THE ITEMS PICTURED WILL BE AVAILABLE. First, the Nike Vapor Elite Pro Spectrum batting gloves to go along with the HR Derby Lunar Vapor Trout Spectrum. Notice that iridescent look that Nike aced last year with Andrew McCutchen and friends. You’ll probably see Tulo and his Derby teammates bringing rain in those white/purples on Monday night. The Volt love affair is officially peaking, as every All Star Game colorway of the LVT features it. To me, its just gotten to be too much, but I doubt Nike will have any trouble selling these on JULY 12 (THIS SATURDAY) on Nike.com. 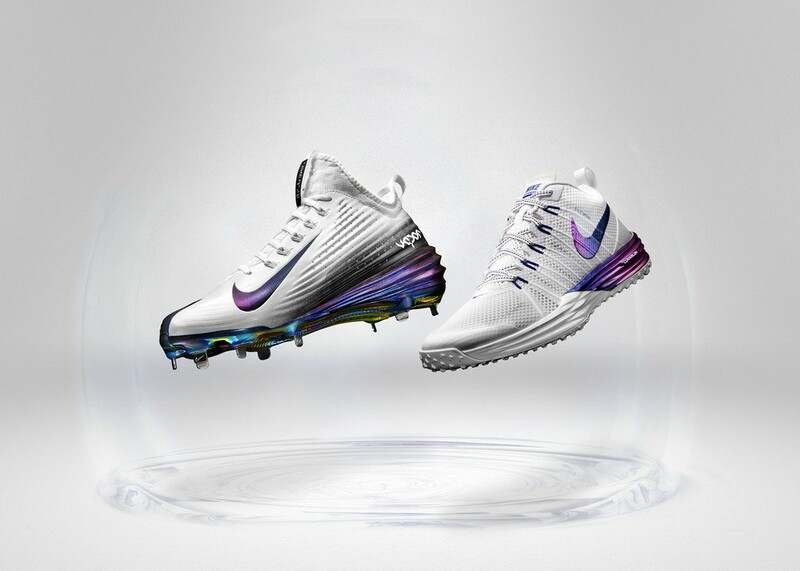 Also expect a limited release of the HR Derby Lunar Vapor Trout Spectrum white/purples, the Nike Lunar Trainer 1 Spectrum as well as the Vapor Elite Pro batting gloves, on July 14 (the night of the Derby) and those will most definitely sell out. This feels like a good time to ask the question, has Volt run its course?